Each New Year we make resolutions. Resolutions are something that we make a decision about – we eat so we diet…..we smoke so we quit…..we walk so we run…..we collect so we de-clutter…..we spend so we save. Resolutions are simple but our mental and emotional systems are complex. We can’t shift our mental gears quick enough to move our butts. Our emotions are so unhealthy that we can’t avoid the tempting Danish, cheesecake or barbecued spare ribs. Artificial stimulants are appealing as they seem to give us confidence and make us “one of the crowd”. Shopping is the biggest crowd puller and it’s easy to get hooked into the “I love a bargain” brigade. Who can’t love pretty useless things that deplete our savings?! 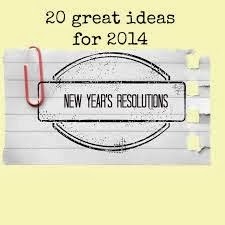 Resolutions are for the weak-willed as they can be broken and re-made. Flawed as humans are, we love to break our resolves and turn off the self-discipline. Discipline is hard work so why do it? We want to but we just can’t stick to the game plan. There’s a myriad of distractions – a busy social life, clamouring spouses and children, online activities, work that can fill up any available time slot and even plain, old depression……we’re depressed about feeling so overloaded! What’s required is not a quiet resolve but a loud, all singing and dancing revolution! A revolution can really clear away the cobwebs and radical measures applied to self are far more effective. A revolution is just an idea that’s come of age. It’s like a simmering pot of stew that either burns dry or boils over. Within us all, is a mini volcano waiting to erupt. Our brains might be programmed for routine but our spirits revel in rebellion. Doesn’t it feel wonderful when you throw a sickie and do something delicious like taking a few good books to bed? Isn’t it uplifting to think that the world won’t come to an end just because we’ve forgotten to do the laundry and make sandwiches? Procrastination is a form of revolution; we are reactionaries against the very systems that provide structure and support. Yes we need some of the same old, same old but a lot of it needs refreshing (and not everyone’s thoughts are fresh!). Divorce is major rebellion and an “enough is enough” antidote to lame self-esteem. 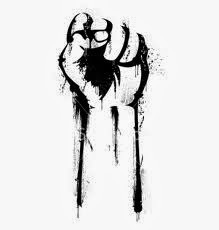 When you’ve lived in quiet desperation, hoping and praying that things will get better….and they don’t….then you know it’s time to revolt. What’s really revolting is putting up with abuse and to keep on making excuses for it! Revolutions are messy and that’s why most people shy away. The emotional cost of protest and establishment of a new order takes determination, persistence and courage. Revolutions are not for the budget-conscious; the financial costs can break the bank so the financially astute among us will choose a resolution over a revolution any day! Revolution, when it doesn’t involve hundreds and thousands of devotees, is about a change of environment – be it spiritual or physical. Our physical location can be a hindrance or a help to achieve our goals. A cramped room in an attic can provide the stimulus for the production of great novels (Charles Dickens had great success in his!). There’s not too many famous writers, inventors, sculptors who’ve lived in opulence and travelled in style. However, following a revolution of spirit - where they dared, cared, shared or even became plain scared – (artists known as the movers and shakers of their time) changed the world. Revolutions are necessary to make us sit up and think. It puts “change” at the top of the agenda and a change is surely what we all need. Resolution is the strait-laced cousin of revolution and can be a way of seeing things more clearly. Whether it’s resolve or full blown revolution, a new year is a time to take stab at being or doing something new…….so just do it!